Your dental health is an essential part of your entire well-being. Which is why the team at Higson Dental Group would like to share 5 tips about sustaining and caring for your mouth. Red, shiny, puffy, sore or sensitive gums. Bleeding when you brush or floss. Bleeding or open sores that don’t heal. Small lumps and thickening on the sides or bottom of your tongue, the floor or roof of your mouth, the inside of your cheeks, or on your gums. Munch on mouth healthy snacks like cheeses, nuts, vegetables, and non-acidic fruits. Regular dental exams and professional cleanings are the best way to prevent and detect problems before they get worse. Don’t wait for a toothache or a dental emergency to look for a dentist, because in Grande Prairie you can take advantage of 20 years’ worth of oral health care experience at Higson Dental Group. Dr. Higson and his team possess the skills, training and expertise to provide a comprehensive diagnosis about your oral health condition, and to advise you on appropriate treatment and care. Visit Higson Dental Group to establish a routine of daily cleaning; all it takes is a visit to keep your oral health, good for life. 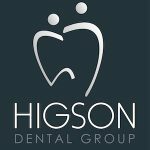 Higson Dental, Creating beautiful smiles.